Nigerian singer, David Adeleke, a.k.a Davido, has paid tribute to his late friend, disc jockey, DJ Olu, at the 2018 Wireless Music Festival/Concert in London. 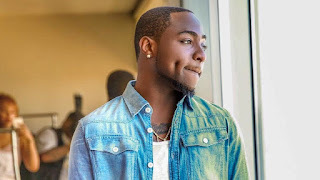 Following a vibrant performance of Chioma my lover and FIA, which the crowd sang along over the weekend, Davido led a memorial for his late friend DJ Olu, who died in 2017. The Fia crooner wore a red T-shirt with the inscription, ‘Long Live Olu’ at the back. While posting videos of the event on his Instagram handle @davidoofficial, he wrote, “Everyone’s emotions were so HIGH at this point! They were trying to cut our time short!. “The Crowd wasn’t having it! We weren’t having it! And my God wasn’t having it!! FIA Wireless 2018!! WAAAAY UP!! !Wow The response from the crowd is unbelievable. Nigerian Artist are doing it Big. Putting Africa on the map! !,” he said.